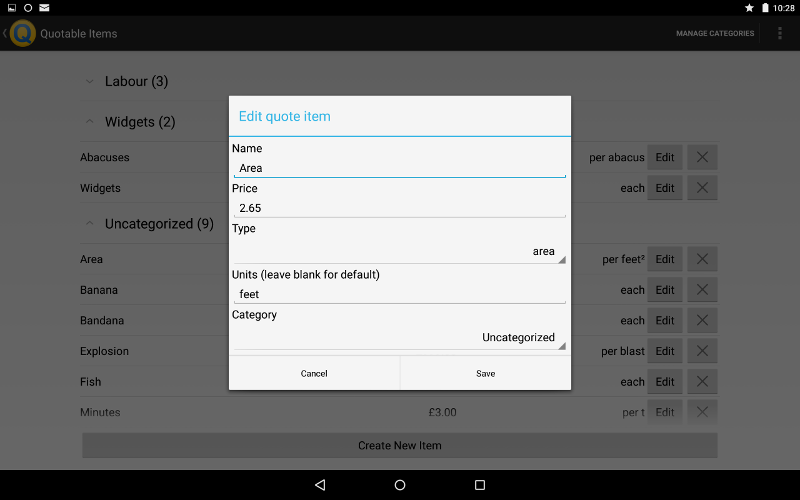 Group your quote-items into categories, for easier organisation. Export your quote-items to a file on the SD card, then import them later, to make it easier to work with multiple devices. 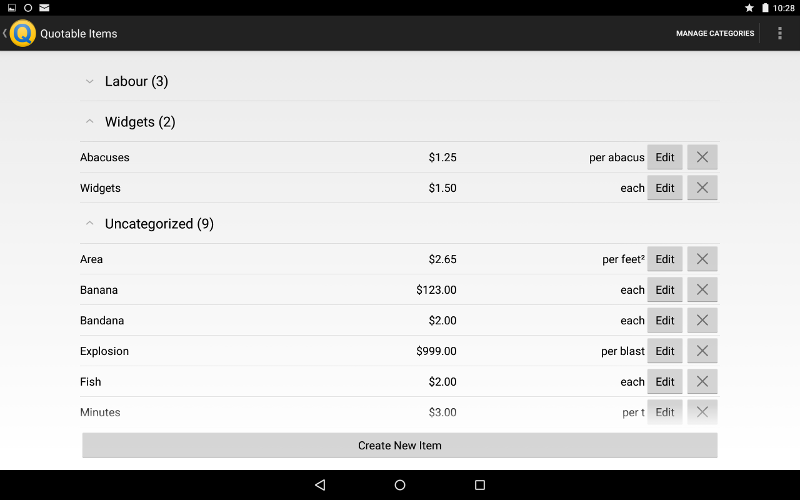 Improved error handling in forms. 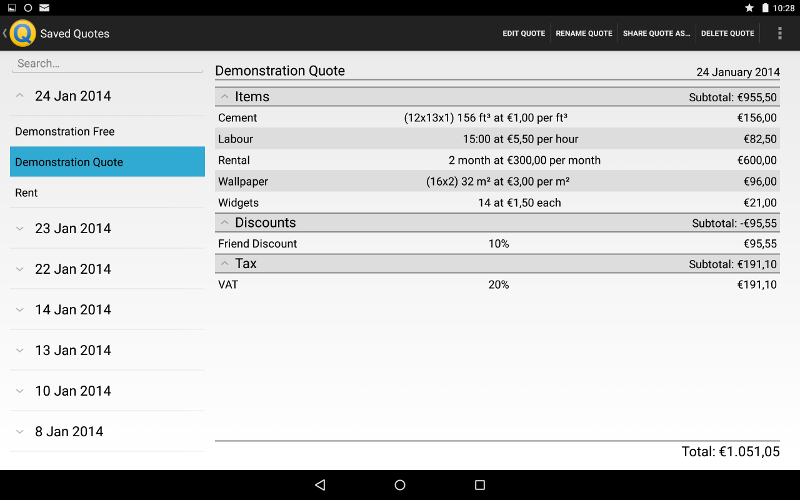 Quick Quote lets you create quotations and estimates while on the job, straight from your Android phone or tablet. 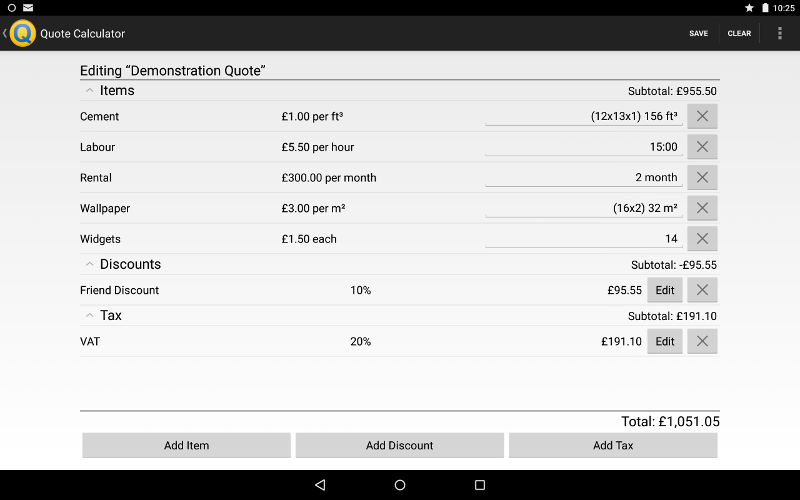 Impress potential customers with a bespoke quote without fiddling with a calculator or having to return to the office. 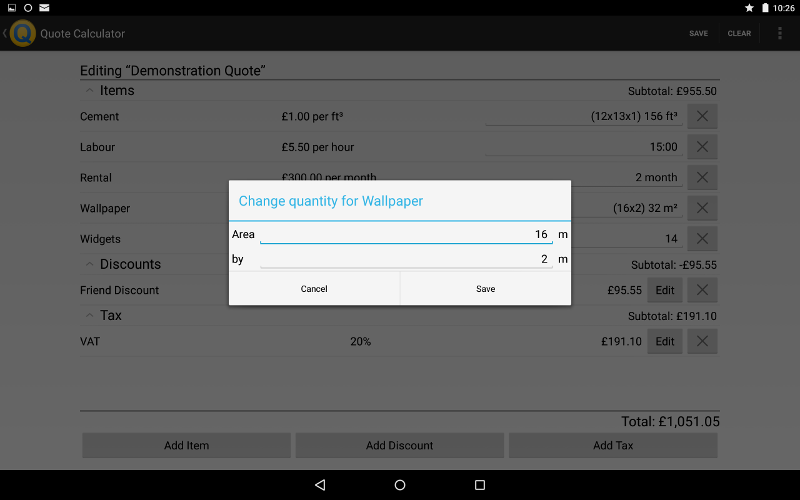 Enter your prices in advance, then compose quotes quickly and easily by selecting items and entering their quantities. 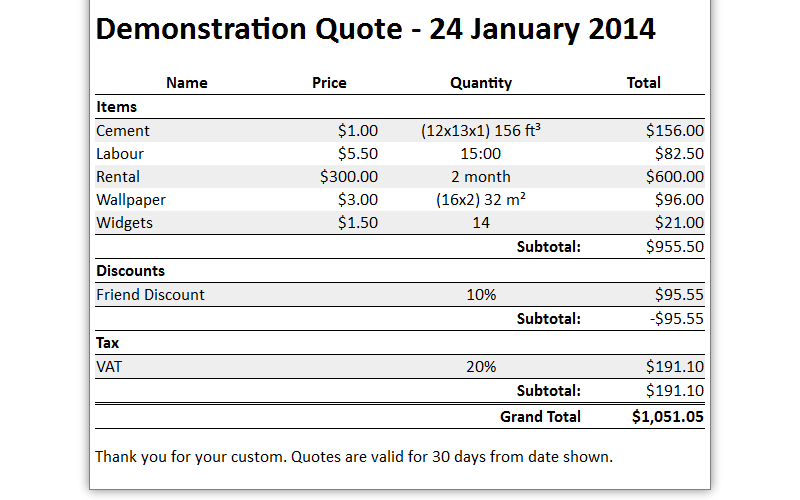 Save quotes for future reference, and email them to your customers, without needing a computer. 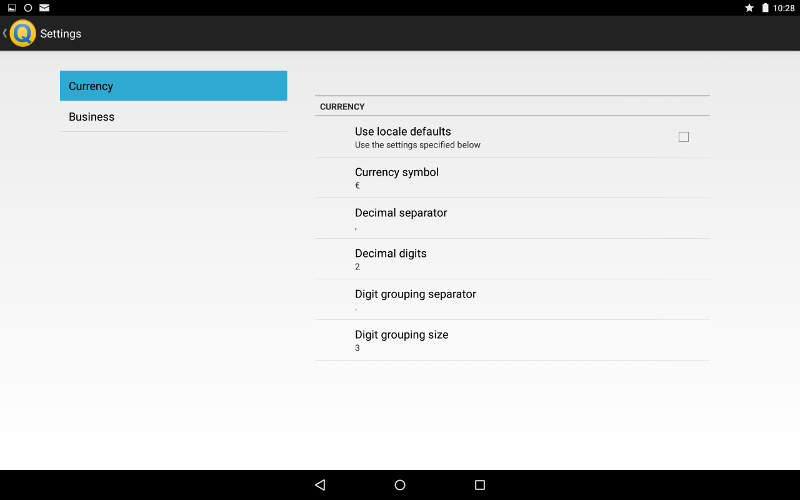 Good reliable and useful app Can be adapted to suit most trades. Great app. Excellent app. Quick and helpful response from developer when I had a couple of queries. Not convinced yet? Download Quick Quote Free and try it for yourself. There are no caps on items or quotes, and you can use it for as long as you'd like. Then, when you're ready for more features, all your data will carry across to Quick Quote Professional.